I just want to give a big shout-out to Amethyst Marie for her awesome and articulate review of the Feyland books, especially concerning the gamer girl aspects of the story. Thank you! Read the review at her website, HERE. 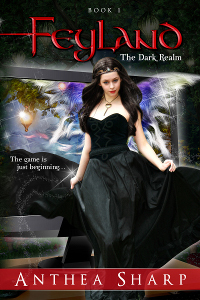 This entry was posted in Books, Reviews and tagged faerie lore, feyland series, gamer girls, review. Bookmark the permalink. So glad you enjoyed the trilogy. I really appreciated your review, and your comments about the subtext – thoughts like that open up the underlying assumptions that both authors and readers bring to the table, and that’s always an interesting path to explore.